Tsa Tsa of 25 Buddhas. Includes rice blessed by Ven. Khenpo Tsewang Dongyal Rinpoche. 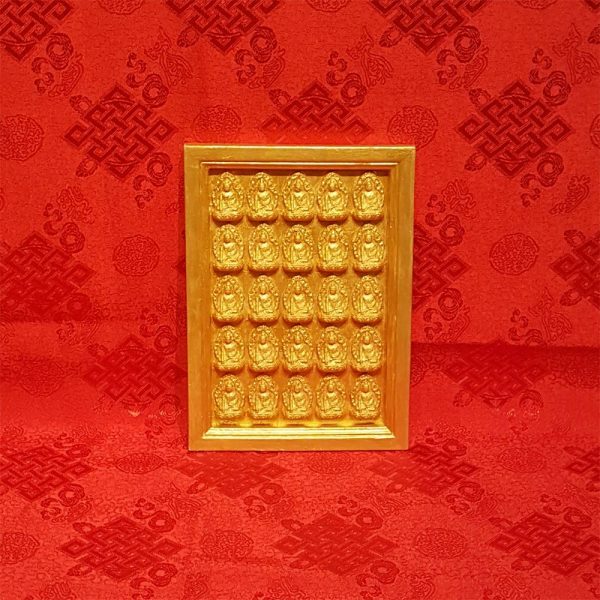 Made at Padma Samye Ling monastery and retreat center in New York.